Our pretty perfumed spring flower bouquet is fit for a princess! 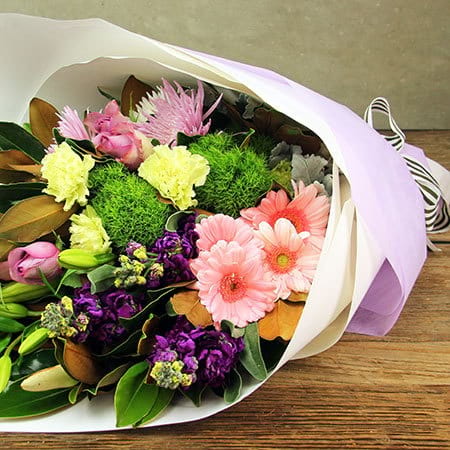 Starring a beautiful combination of pink and purple flowers, this fresh bouquet includes long lasting gerberas, chrysanthemums and lilies, with fragrant stock, roses and frilly carnations. A feminine bunch of blooms perfect for birthdays and special occasions, newborn baby gifts and celebrations! Add a bottle of bubbly, chocolate or an ECOYA hand cream or candle for an extra treat! 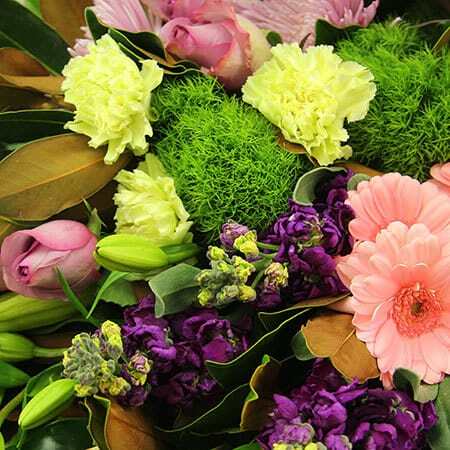 Order your flower bouquet delivery online or give the team a call on 1800 66 66 46. *IMPORTANT: As pictured this bouquet contains stems of lilies. We endeavour to deliver this bouquet with lilies that have as many tightly closed buds as possible, so the recipient benefits from maximum flower longevity. 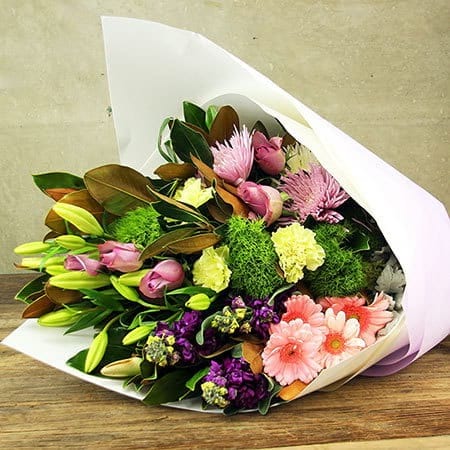 If you are using this flower bouquet for a presentation or would simply like more open flowers rather than tight buds, please contact us directly on 1800 66 66 46.